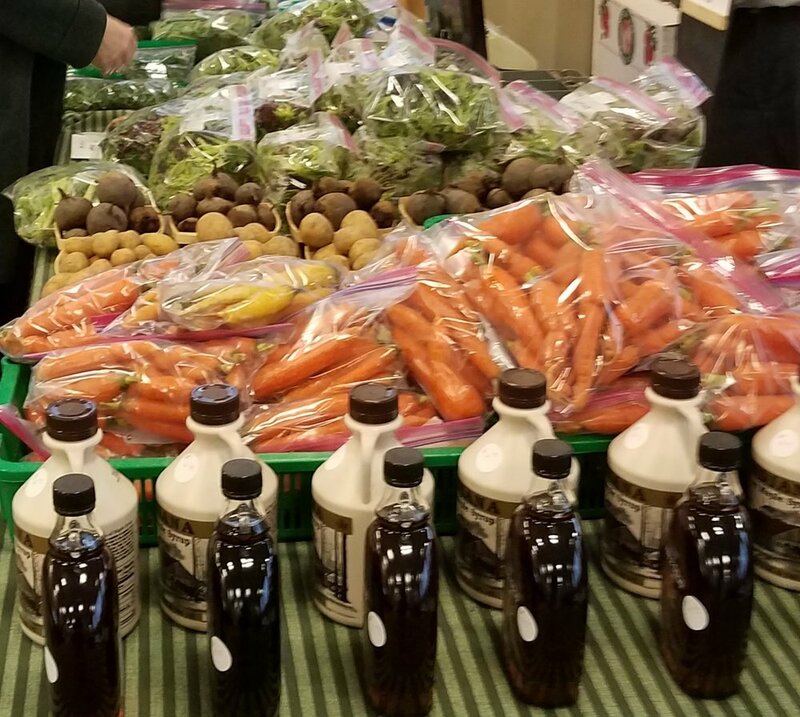 As greater Fort Wayne is growing like a weed, our vendors selling local foods are growing too. The year-round Ft. Wayne’s Farmers Market has numerous vendors with years of experience and bunches of seasonal goodies. From fresh food to artisan products and from craft goods to advice from gardening to cooking, the market has so many great reasons to attend. But for me, the most important reason I shop the market is to support our community. Hi, my name is Angela, and I love shopping the farmers market. Local food has always been an interest to me since I was a little girl helping in my grandmothers’ gardens. One grew flowers and the other grew fruits and vegetables. And from there, my interests in the garden also grew into cooking that delicious produce and making beautiful things with the flowers and nature. Although my interest has always been strong, once my family started growing, the food we were eating started to gain more and more purpose. I wanted to provide healthy, nutritious foods to my kids, lower our carbon footprint, and support our local growers, to name a few. Our family shops at the market because by supporting our local growers, we get so much back in return. Over the time that we have spent at the market, we have not only tasted awesome food but also made friends and learned so much. We have learned about growing in our own garden, which produce grows in which season, and how each season affects the flavors. We have had conversations about specific nutritional benefits these foods provide and gained delicious recipes and the methods to prepare them. This market has become something more than a shop to us; its more of a community-our community. So that is my reason. I choose to support our community by shopping the market. Our community benefits when we support our creative and knowledgeable growers. We create relationships and depend upon each other. We nourish our families with great quality, local produce. And, we have a great time doing it. I hope you choose to join me. If you would like to follow me on my local loving journey, find me @thefarmerintraining on Instagram and Facebook.